Bauer Summer Business Institute participants got a first-hand look at the inner workings of some of Houston’s businesses and the value of a business degree. 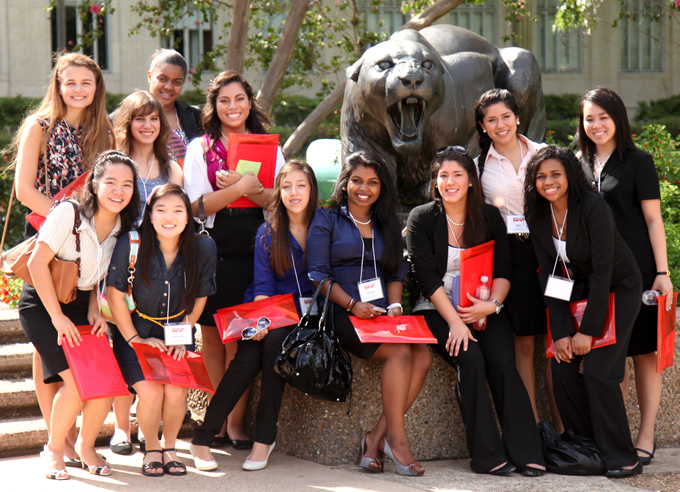 A select group of 25 high school students from all over Houston was recently given the opportunity to experience the Houston business community through the Bauer Summer Business Institute (BSBI) in August held by the Office of Undergraduate Business Programs at the C. T. Bauer College of Business. Launched in 2010, BSBI is a three-day event designed for high school juniors and seniors to develop leadership skills, set goals for their future (both personal and professional ), and discover their future career through classroom instruction, real-world training, site visits and networking. In addition, this summer’s students were able to experience local businesses and industries through experiential learning and site tours to various locations around the city, including the Toyota Center and the Federal Reserve Bank. Killian said her goal for BSBI is to gather a group of promising young students who exhibit a passion for business, leadership potential, and most importantly, a desire to make some kind of difference or impact. Killian enlisted the assistance of a team of Bauer student and alumni volunteers to form the BSBI Camp Counselors and help guide the campers through the process. “I volunteered for the BSBI because I wanted to be there to guide all these younger students thinking about going to business school and share with them my experiences and what I’ve learned so that they will have a better idea of what’s in store for them if they do decide to come to Bauer,” finance major Tony Nguyen said. 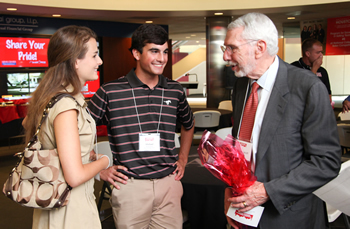 During site visits, the students were given the opportunity to pick the brains of real world professionals and local entrepreneurs, including Star Furniture chairman Melvyn Wolff (BBA ’53). The BSBI featured three workshops led by Bauer faculty. The first, a goal setting, planning, and motivation workshop lead by insurance and risk management professor Mack Rogers, got the young students to start thinking about their future and what they hoped to achieve. The students also attended workshops on leadership development and another on career planning, led by the college’s Director of Leadership Initiatives Tommy Doss and Assistant Dean for Career Services Jamie Belinne. Along with the workshops, the students were taken on visits to various businesses around Houston. They were given a behind-the-scenes look at the Houston Rockets and attended a panel featuring various Rockets business and marketing personnel. The group also toured the BP P trading floor and the Federal Reserve Bank, as well as retail businesses Lexis Florist and Kuhl-Linscomb. One of the most talked about and inspiring portions of the camp was when students had a chance to meet successful entrepreneurs — people who, not unlike them, started off with few good ideas. “It was really inspiring to learn about how they started with nothing to eventually building wonderful companies,” Bellaire High School senior Amy Jiang said. “I learned a lot about business at the camp. Before I wasn’t sure if I wanted to be in business and go to business school, but now I know it’s exactly what I want to do,” she added.